Wanda Hennig has a wealth of hands-on media and communications expertise and insight gained from more than 20 years transitioning between South Africa and the United States, working on consumer magazines and newspapers, in the print media, and in corporate and nonprofit communications. She has a National Diploma in Public Relations from the Public Relations Institute of South Africa and is a social media consultant and coach with a proven track record. She is an experienced presenter, speaker, publicist, facilitator, manager and coach. South Africa-born and a graduate of the University of KwaZulu-Natal, Wanda’s first job in journalism was at The Daily News in Durban. She subsequently spent six years on the Sunday Tribune writing hard news and features before becoming the editor of the Tribune’s Sunday lifestyle magazine. Her time on The Trib was followed by five years as bureau chief on the South African edition of Cosmopolitan where she was also editor of Cosmo Man. She left when headhunted to be Director of Communications at the KwaZulu-Natal Indaba Foundation. 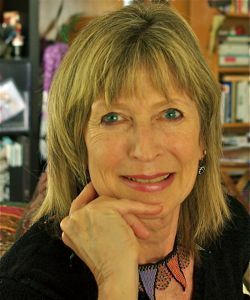 Her first formal California job (after three years as a residential zen student/practitioner at the San Francisco Zen Center) was as special features editor on the now defunct Appellation magazine (Wine Country Living) then headquartered in Napa, California. She was subsequently editor in chief of Diablo magazine in the San Francisco Bay Area, and later the former Black Diamond Living. She worked in corporate communications for San Francisco–based Bechtel and also, for 18 months, on the copy desk at the Oakland Tribune. She has been a regular contributor on both Oakland and Alameda magazines. She publishes regularly on examiner.com, where she is the South Africa Travel Examiner and the SF Culinary Travel Examiner. She writes the Delicious Life column for Cuisine Noir magazine — and more.